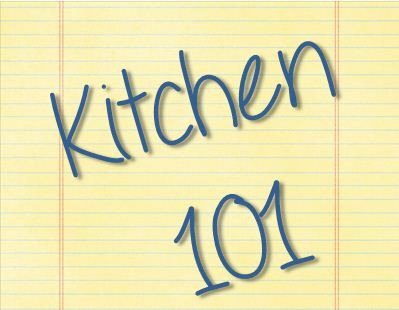 Kitchen 101: It’s Crunch Time! It’s the first day back to classes for me. This quarter I’m taking a Sustainable Purchasing class, as well as an American Regional kitchen lab. I’m pretty excited. I can already see from the syllabus that the menus are a little more complicated, and we’re going to get to work with more than just chicken. Yay! In fact, it’s while I was glancing through the Deep South menus for this quarter that I got the idea for today’s Kitchen 101. I think a lot of people assume that all Southern food recipes pretty much end in “dip in batter and fry.” Restaurants that stake their claim on Southern Food typically feature things like fried chicken, fried fish, and chicken fried steak as menu highlights, and there’s no doubt that battered and fried items have a place in many Southern cooks repertoires. Of course, as someone who grew up in the South, I know there’s so much more to Southern food than that, and I’m pretty excited that we’ll get to explore those other elements this quarter. In the meantime… If you’re looking for a way to get that taste and texture of the breaded and battered South without ingesting enough fat grams for a third world country, I have a few tips for you. First of all, let’s get past the idea that coating food in breading is automatically bad for you. There are lots of ingredients you can use to lighten up the breading but still get that perfect crunch. 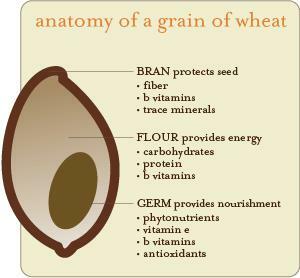 If you’re avoiding gluten based breadings, of course you can use gluten free bread crumbs, but you might also try a low moisture cheese like parmesan, or ground nuts like almonds, or even rice flour. Crushed potato chips are another option, as well as crushed corn flakes. Just let your imagination run wild! Try out a few different crunch carriers (or even combine a couple of them) to find out what tastes best and has the right texture for you. 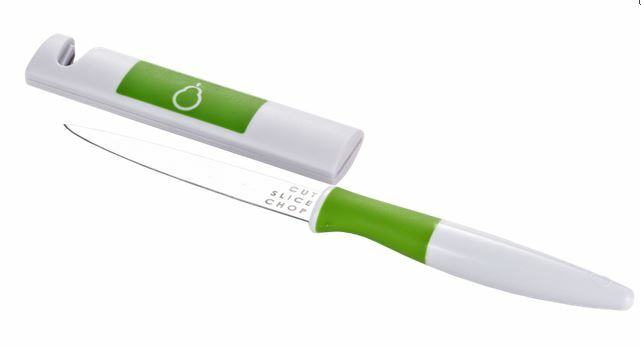 We also have some options in cooking methods to help us get the crispy exterior we want. If you opt for the traditional frying method, try using a healthier oil that is low is saturated fat like canola or soybean oil. The key to keeping any breading from absorbing all that oil is to bring the oil up to the magic temperature of 375°. If your oil temperature is too cool, the breading will absorb the oil and you’ll get that soggy, greasy outside. Gross, yeah? Obviously, oil that is too hot burns the outside of the food before the inside can cook, and that’s no good, either. Oil at the right temperature will cause the moisture inside the food to boil, then push its way out to the surface of the food. As it does that, it puts up a barricade that keeps the oil from penetrating the inside. The end result is that golden, crispy crust with a nice, satisfying crunch. If you want to avoid deep frying altogether, another option is to oven fry the food. Regardless of how you do it, frying, by definition, is done in oil or fat. The benefit of frying food in the oven is that you are only using tablespoons of fat or oil vs. the cups of them that you use when deep frying. The trick to getting that crispy outside for oven fried foods is to preheat both the pan and the oil in the oven. When you drop the food onto the hot pan, you’ll hear the sizzle that means that moisture barrier is being formed and a crust is forming. Of course, you can also just bake the food. You’ll use even less oil, and can even opt for cooking spray instead of oil or fat. It’s still absolutely possible to get that crunchy texture when baking. You know I’m not going to leave you without a recipe! I had some avocados in the bowl that were juuuuust this side of soft, so I needed to use them right away. Short of just digging in with a spoon (which I’m totally down for, by the way), inspiration was running short. Then I remembered these avocado fries that I had at a few weeks ago at this bistro in my ‘hood, and a serious craving started to kick in. 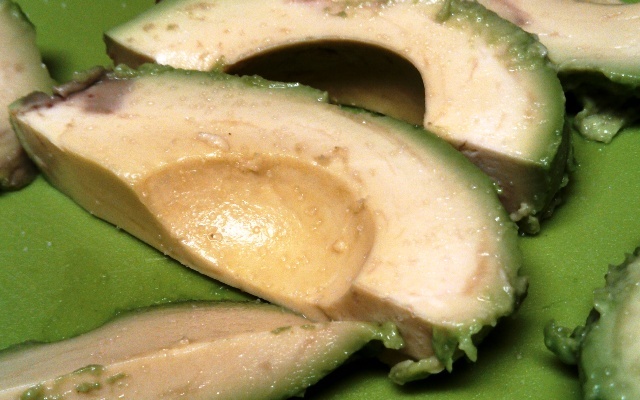 Slice the avocados lengthwise and season them with a little salt on both sides. Spray your cookie sheet with the cooking spray and set it aside. Set up your three bowls for a standard breading station. Your first bowl will hold the seasoned flour. I just used salt and pepper as the seasoning in this bowl. The second bowl will hold the wet ingredients. I think most people use an egg wash for this stage, but I didn’t have any eggs so I used the ranch dressing thinned out with the lemon juice for a little added punch. The third bowl will hold the bread crumbs. I just sorta randomly added some Zanzibar Curry seasoning to it on a whim. I don’t know if anyone on any planet would put Ranch dressing together with a curry seasoning, but I did. I was totally in “Let’s See What Happens If I…” mode. Dredge each avocado slice in the seasoned flour, shaking off as much of the excess as you can. Move it into the dressing mixture to coat, and then cover it on all sides with the bread crumbs. You can use a fork, or tongs, or your hands to move the avocados from one bowl to the next, but remember that if you stick your hand in the flour, and then in the wet stuff, and then in the bread crumbs, you will have probably succeeded in breading your fingers together. You could use the “one hand dry, one hand wet” method, but if you’re anything like me, you’ll forget which is which and end up with gummy hands anyway. Once all your avocado slices are breaded and onto the cookie sheet, pop them into the oven for about 15-18 minutes, turning once about halfway through, and bake until they’re golden brown. 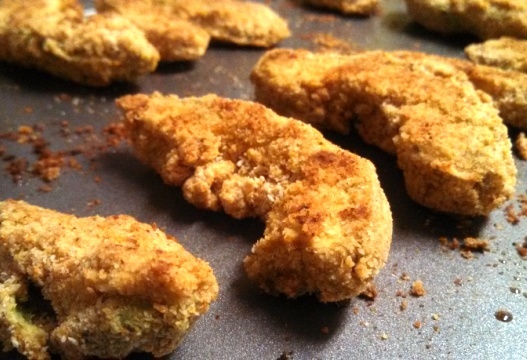 The nice thing about using the ranch dressing as part of the breading is that we didn’t need any sort of dip for these. They packed some pretty serious flavor all on their own. The outsides were crispy, and the insides were creamy and full of avacadoey goodness. We snacked on these while watching a movie, but they could be served as a side with a burger or a sammich, or as an appetizer.